Located in the south of Spain and bathed by the waters of the Mediterranean Sea, the province of Málaga takes in a total of 103 municipalities, both inland and along the coast. With more than 320 days of sun and warm temperatures, visiting the province can be recommended at any time of year. 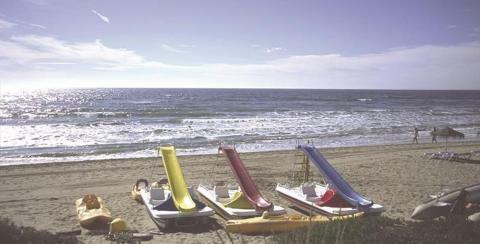 The variety of its beaches is one of the main attractions of the Costa del Sol: urban beaches, allowing you to combine activities and life in the city with relaxation, and beaches that are more remote, located in veritable natural beauty spots, ideal for those seeking tranquillity and complete disconnection. 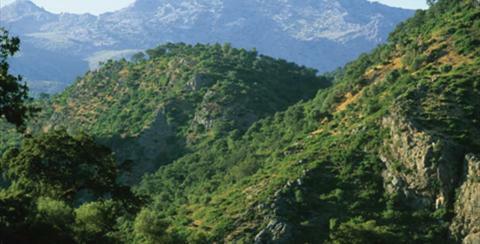 In addition to its coastal areas, inland, the province of Málaga boasts a range of spectacular landscapes. Nature lovers will be surprised to discover the variety of natural spaces and areas suited to active tourism. Málaga is synonymous with art and culture. The city was the birthplace of the painter Pablo Ruiz Picasso, to whom it pays homage in the Picasso Museum. It also houses numerous museums focusing on different topics and epochs, such as the Russian Museum, the Pompidou Centre and the Carmen Thyssen Museum. Over the course of its history, different civilisations and cultures have left a visible mark via an impressive legacy of monuments. The Roman Theatre of Málaga, the Alcazaba and Gibralfaro Castle number amongst the architectural gems that will transport you into bygone eras in a city that is imbued with history. The unique nature of its inhabitants is one of the most noteworthy features of the Costa del Sol. The cheerfulness of its people and their singular way of speaking number amongst the distinguishing features that awaken the greatest degree of curiosity amongst visitors. Their warm and welcoming character will make you feel right at home and even unwilling to leave.